The gift of a Gustavus expereince is made possible through the time, talents, and resources of the Gustavus community. Financial gifts ensure student access to the finest faculty and opportunites the College can provide. Through mentoring and direct service students see first hand what it means to live a life of service after time on the Hill. In addition to the ways to gather, connect, and give mentioned above, Gustavus also encourages alumni stay connected to the College through these events. Faculty and Administrator Service Awards Dinner- The College and the Gustavus Alumni Association recognizes retirees and the commitment of faculty and administrators who have served the College 10, 15, 20, 25, 30, 35, 40, and 45 years. The event typically is held the final day of spring semester classes. 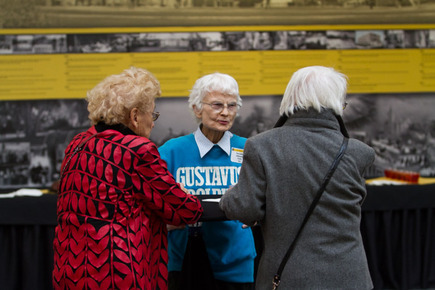 Gustavus Alumni College- The Alumni Association offers alumni an opportunity to strengthen their passion for lifelong learning through innovative, intellectual and interactive seminars lead by Gustavus faculty, staff and fellow alumni. 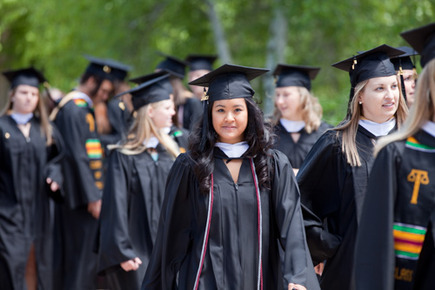 Alumni College is held in conjunction with Homecoming in the Fall and Spring Reunions. Alumni Banquet- The annual Alumni Banquet is a celebration of the Gustavus Adolphus Alumni Association, the accomplishments, contributions, and profound impact of alumni to Gustavus, their communities, and greater society. During the banquet, the College recognizes the year's Alumni Association award winners, a group of outstanding Gustavus alumni and friends who each day live out our five pillars of service, community, justice, excellence and faith. May 3 All day Gustie Gear Dayhttps://gustavus.edu/calendar/gustie-gear-dayWherever you are! Jun 3 All day Gustie Gear Dayhttps://gustavus.edu/calendar/gustie-gear-dayWherever you are!